The various forms in which cannabis is available (and the many possible ways to consume it) make dosing a bit of a challenge. Our cannabis dosing guide helps you find the right starting dose for different cannabis products and consumption methods. Finding the right dose for medicinal or recreational cannabis isn’t always easy. Cannabis strains can vary greatly when it comes to cannabinoid and terpene profile, which can make one strain much more potent than another. Furthermore, there are so many methods of consumption, such as smoking dry buds or administering cannabis in the form of oils, topical creams, or edibles. Yet another factor when it comes to dosing cannabis is that not everyone has the same tolerance. While a seasoned cannabis user may be better able to handle a high dose, the same dosage may be too much for someone else. Because of that, finding the right dose for cannabis is highly individual. To help you find an amount that works for you, here is a list of starting doses for cannabis in its various forms. Consider these doses as general launch points, from which you can later adjust your intake depending on your needs and desires. A starter dose for smoking or vaping dried flowers (buds) is around 0.25–0.5 grams. A half gram of dry bud is a common amount found in most pre-rolled joints. If you’re trying a new strain, starting out with 0.25 grams of bud can be a good amount to gauge its potency and effects. If you find this too strong or not strong enough, you can always adjust according to your preferences. Smoking or vaping dried buds has the advantage of near-immediate effects. For novice users, taking a couple of hits from a joint or two inhalations from a vaporizer may be all that’s needed to get sufficiently high. More experienced users may require more to achieve the same effect. Know that vaporizers can vary when it comes to their chamber capacity, which makes it difficult to quote an average size for the many models available. It can be a good idea to fill the chamber to ¾ of its capacity, leaving some room for smooth and steady airflow. With most cannabis edibles, a single dose consists of 10mg of either THC or CBD. You can also find medicinal cannabis products that contain 100mg or more of THC, although these are normally for patients with severe medical conditions and are not meant as a single dose. When consuming edibles, it is important to realise that it can take some time for your body to metabolise the active compounds. Other consumption methods such as smoking or vaping have an immediate effect, but edibles can take up to two hours before their effects start showing. Because of this, it is not recommended to increase your dosage until a full two hours have passed. While it’s not possible to fatally overdose on cannabis, it can be very easy to overdo it with edibles and experience an unpleasant “trip”. Taking it slow is the way to go, for both novice and experienced users alike. A typical dose for an oral CBD oil extract made from hemp starts at 10mg, but this will vary depending on your own requirements. Some health conditions may require a much higher dosage. 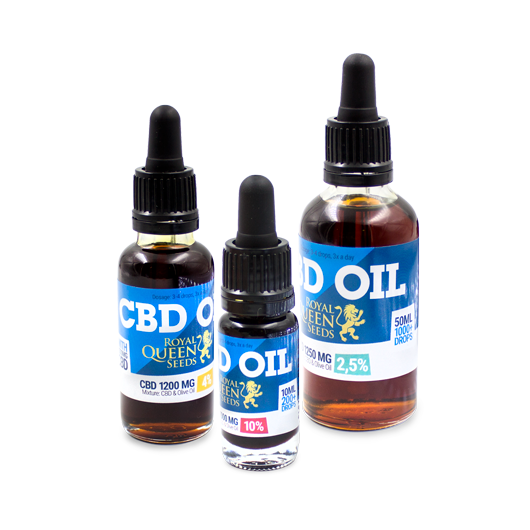 CBD oil products available on the market today vary widely. They are available in various concentrations of CBD, and differ in regards to purity. Before taking them, you should make yourself familiar with the recommended dosages for each particular product and how to consume it. CBD oils are well-suited for microdosing. You can take 2.5–5mg of CBD with each dose, several times throughout an entire day. Full-extract cannabis oils are sometimes used by patients with severe health conditions such as cancer or epilepsy. These highly concentrated cannabis oils are among the most potent forms of medicinal cannabis, with powerful effects even when taken in small doses. Many medicinal users take up to 1 gram of full-extract cannabis oil per day, divided into multiple doses. For a single dose, you can take one small droplet of concentrated oil. Repeat 3–4 times per day. If you’re self-treating, you should note that one full gram of concentrated full-extract cannabis oil is already a very high dose. Always consult a medical professional prior to taking high doses of cannabis. Topicals such as cannabis creams, sprays, and ointments for pain relief and inflammation are applied directly to the skin. They are non-psychoactive, which means there is little risk for overdoing it. Most of these topical CBD products come with recommendations for proper usage. You can start with the recommended dosage and use more or less as desired. Transdermal patches are available in varying strengths, with most of them ranging from 10–20mg of cannabinoids per patch. When you apply a transdermal patch to your skin, the effect can normally be felt within 20 to 60 minutes. Here too, it can be recommended to start out with a lower-strength patch and work your way up if needed. Dabbing is a form of combined vaporization and combustion where an extract from cannabis such as butane hash oil (BHO) is dropped onto the heated nail of a “dab rig” and inhaled. BHO and other cannabis extractions are very concentrated and extremely potent. They are typically available in 0.5 grams and full-gram quantities, but a single dose for dabbing is normally a mere fraction of that. A half-gram of BHO is normally good for about 20 dabs or servings, which comes to 25mg each. It is best to start out with a small dab about the size of a grain of rice. Know that it can take several minutes until you feel the full effect. When vaping cannabis extracts with a normal vaporizer, vaping temperatures and how long/hard you inhale can also make a difference. Just as with dry buds, it’s smart to take one puff and wait a while before going back for more. Microdosing cannabis is a new rising trend among medicinal cannabis consumers. When microdosing, you are taking minimal doses of THC, about 5–10mg per dose, once or several times throughout the day. The idea behind microdosing is that you take just enough THC (known as the “minimum effective dose”) so that you feel the desired effect, but can still function and go about your daily routine. You can microdose with most forms of cannabis, although it is most common with oils since they are easier and more accurate to dose. However, you can also microdose when you smoke or vape. For this, you can just take a small puff or two each time. Microdosing is a great alternative consumption method for users with a low tolerance for THC. No matter what your preferred method of consuming cannabis is, we recommend that you always start with a lower dose. When you listen to your body and observe the effects, this is the best way to find the ideal dosage for you!